I got this error when I tried to use a WCF. The full error message is "The requested content appears to be script and will not be served by the static file handler." There might have been different solution I will explain here which solution works for me. 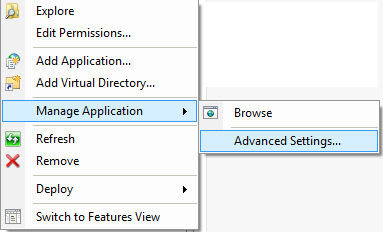 Then in the Advanced Settings dialogbox. 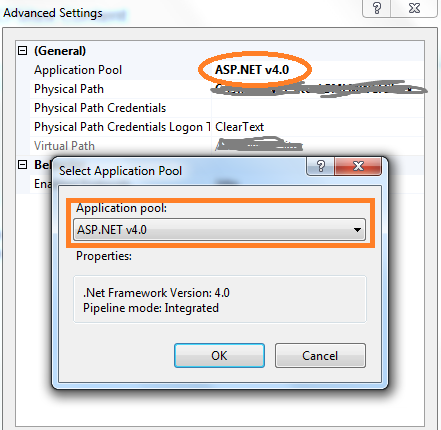 Click on Application Pool and I have changed to ASP.NET v4.0 as shown in the fig as below and now it works fine.